Price Chopper has released new coupons. Get offer button. 2. For new Google users, create a Google account here. 3. Link your AdvantEdge card to your Google account. 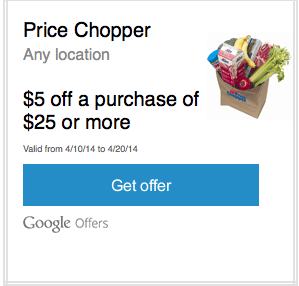 Tip: Look to the right after you add this coupon and find more Price Chopper coupons that can be added to your card! 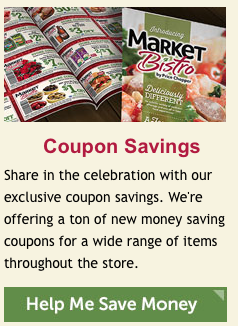 Second, the Market Bistro by Price has new coupons available in-store (in Latham) or printable HERE. These can be used at any Price Chopper. Hot ones include $10 off a $30 certified Angus beef purchase and half price Pirates Booty with a $25 purchase.